Again, I’m beginning a blog entry with an apology. I haven’t been keeping up with it lately, after five years of consistent effort. I have a few excuses, but really, who cares? I am not giving up this blog, but I will likely de-emphasize it in my life. It will be here, I will continue to share a sampling of fan mail, and whatever else might come. Thanks for stopping by, and please come again. Apologies for the scan . 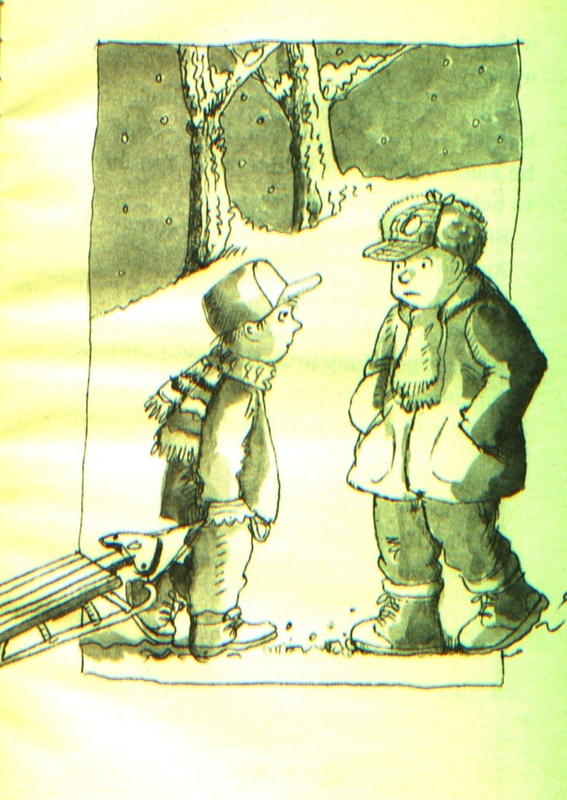 . .
I’m glad you enjoyed my book, The Case of the Great Sled Race. 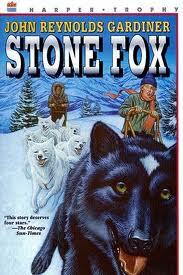 In that story, I paid tribute to another book, Stone Fox, by John Reynolds Gardiner. It’s terrific and you should read it. Just like Jigsaw Jones did in his class. Though, I should warn you, it might make you cry a little tiny bit. But hey, I like to cry. I do! It means I’m feeling something, my heart swells, I’m alive. Okay, laughter is best – but crying is good, too. Seriously! I searched and searched for the envelope you included in the letter, but I couldn’t find it. I either lost it (probably) or you forgot to include it (maybe). No worries. I did a little investigating because I had to find your zip code, and out of curiosity I jumped on Google Maps and started looking at houses on your actual block. Crazy, isn’t it? Seems like you live in a nice part of the world. Well played, Julianna! 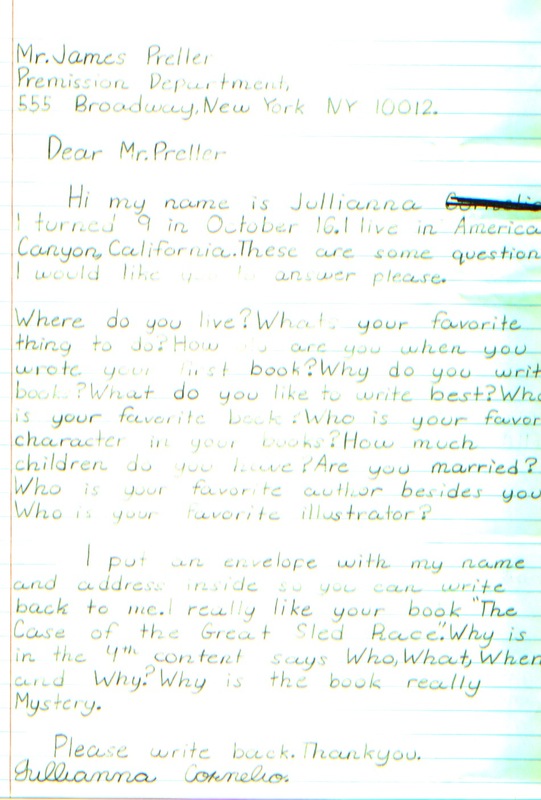 You asked so many questions in your letter. You can find the answers to most of them by going to my site at jamespreller.com and digging around a bit. I hope that doesn’t seem too lazy of me, but I created the site for readers exactly like you -– and to spare myself, admittedly, from having to answer the same questions over, and over, and over, and over, and over, and over again. There’s actually quite a few things in this story, numero ocho in the Jigsaw Jones series, that I particularly like. 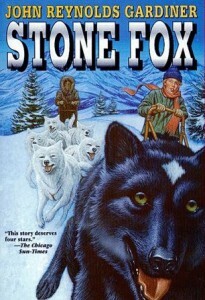 I’m pleased by the way I used John Reynolds Gardiner’s wonderful book, Stone Fox, to loosely parallel Jigsaw’s journey. Ms. Gleason is reading it aloud in class throughout the book. I suddenly realized it was like solving a mystery. Reading was like detective work. Figure out the W questions . . . and you’ll catch the crook. But today I’d like to focus on a different aspect of the book. 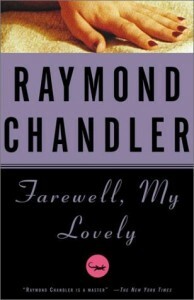 My confession: I lifted the setup from the opening of Raymond Chandler’s great book, Farewell, My Lovely. Remember, folks, it’s not stealing . . . it’s an homage! Seriously, I don’t think any of my readers notice this, it’s just something I do for the fun of it, and as a sly little tribute to a favorite author. Like tens of thousands of writers before me, I owe a huge debt to Raymond Chandler, who defined the voice of the hard-boiled detective for generations to come. In fact, when I first began this blog one of my earliest posts was an appreciation of Chandler. His skin was pale and he needed a shave. He would always need a shave. He had curly black hair and heavy eyebrows that almost met over his thick nose. His ears were small and neat for a man of that size and his eyes had a shine close to tears that gray eyes often seem to have. He stood like a statue, and after a long time he smiled. You can learn a lot by giving Chandler a close reading. A shine close to tears that gray eyes often seem to have, indeed. It wasn’t any of my business. So I pushed them open and looked in. A hand I could have sat in came out of the dimness and took hold of my shoulder and squashed it to a pulp. He let go of my shoulder. The bone didn’t seem to be broken, but the arm was numb. Illustration by John Speirs, my apologies for the scan, it appears to be broken. I was dragging my sled into the park when I spotted Bigs Maloney. 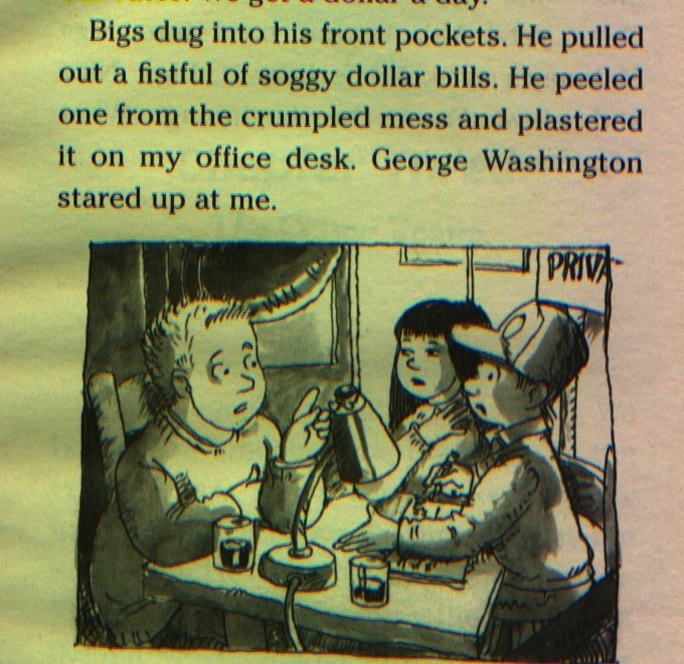 Bigs was the roughest, toughest kid in second grade — but not taller than a grizzly bear and not wider than a soda machine. He was headed my way. Bigs put his giant paw on my shoulder. Five minutes later, Mila was throwing questions at Bigs Maloney. “Who is this Velma you’re talking about?” Mila asked. Bigs made a face, like he was disappointed in us. “Velma is a what, not a who,” he said. “What kind of what?” Mila asked. Finally I understood. Vel-ocity . . . Ma-chine. Vel-ma. Bigs sneered. “And I’m gonna clobber the crumb who stole her. Mila gave me a worried look. For an added treat, check out this trailer for the 1975 film starring Robert Mitchum. His voiceover in the beginning is classic. I’d forgotten about the Joe DiMaggio reference, and now I feel better, since Hemingway did something similar in The Old Man and the Sea. We’re all standing on the shoulders of giants. I loved this movie back when I was in high school. As I recall, it was in the early days of HBO, when they’d play the same few movies over and over and over again.